Get the best of city life and country scenery in this 8-day self-drive tour in Sweden! 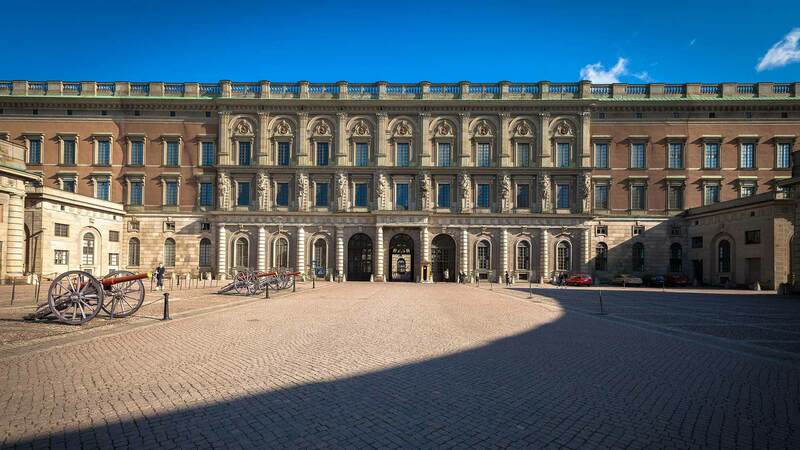 Visit famous Stockholm attractions such as the Royal Castle and ICEBAR and explore southern Sweden with its green fields and characteristic red cottages. Along the way you will encounter Viking ruins, medieval buildings, wildlife and the Swedish national symbol, the Dala Horse, among other highlights. 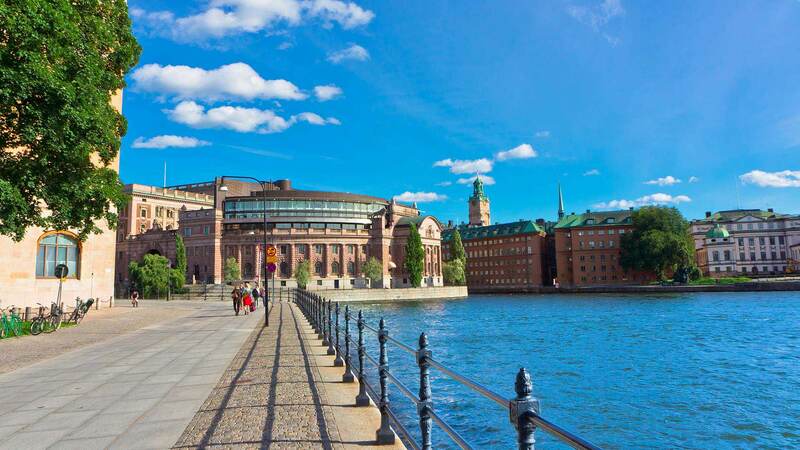 The morning starts with a Stockholm sightseeing tour (2.5 hours), taking you to the most significant sights in the city, including the Old Town (Gamla Stan) and Djurgården, the king’s ancient hunting grounds. This combined bus and boat tour really gives you Stockholm in a nutshell! After the tour we highly recommend spending more time in the Old Town with its many narrow alleys, historic buildings and handcraft boutiques. In the morning it’s time to pick up your rental car and start your drive north. 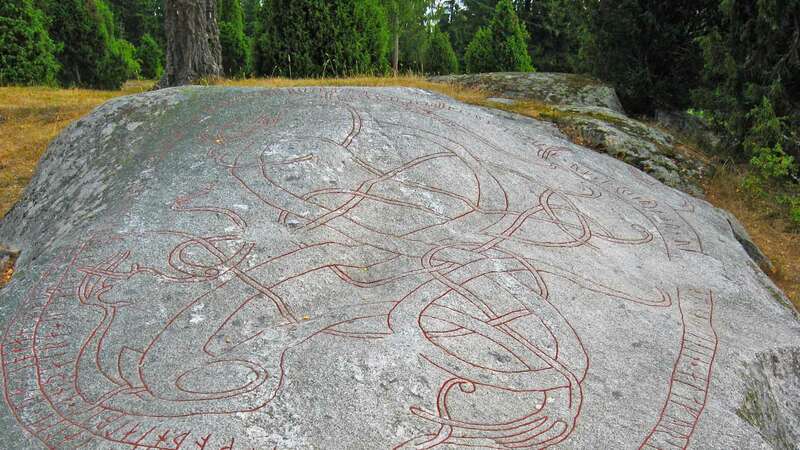 Around the town of Enköping there are many interesting sights to visit, including the Grönsö Castle as well as a number of medieval churches and Viking Age rock carvings. Further north at Sala you can take a guided tour of the old silver mine and visit the mine museum or police museum along with several craft and souvenir shops. On entering the province of Dalarna your first stop is Avesta, where you will find the largest Dala Horse in Sweden. This is the perfect place to stop for a great photo and afternoon snack at the nearby café/restaurant. Then continue your drive to the UNESCO World Heritage city of Falun. Spend the night in Falun. 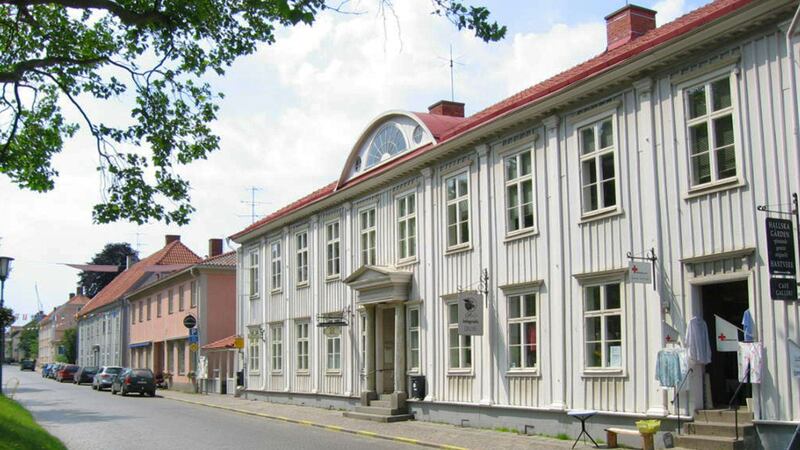 Your first stop today is the Dalarna Museum, which covers the cultural history of the province. 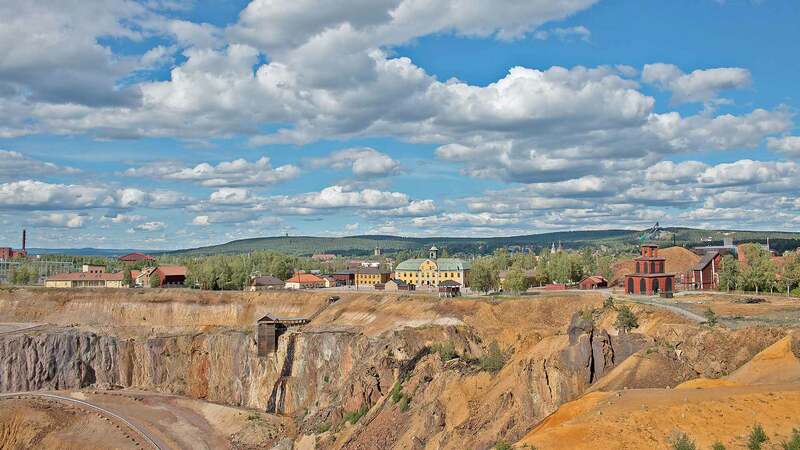 And if you enjoyed the Sala silver mine then we recommend a visit to the Falun copper mine, where a guided tour takes you to depths of 50-60 meters underground! For those with Swedish heritage, a stop at the Dössberget Museum in Bjursås, just outside Falun, might be of interest. Even if you don’t have Swedish roots, the great view, atmosphere and lunch makes it well worth a visit. After lunch, continue west to Nusnäs and visit the Grannas Dala Horse Workshop. Here at this family-owned workshop from the 1920s you can see how this popular symbol of Sweden is made and, of course, you can also buy your own souvenir. Then continue to Mora, where we recommend visiting the 18th century home and museum of Anders Zorn, one of Sweden’s most celebrated painters. Here you can also visit Zorns Gammelgården, a collection of old log buildings, some dating back to the 13th century. A short drive north at the Grönklitt Bear Park, you will find not only bears but also wolves and other Swedish wildlife in their natural habitat. A must for animal lovers! Driving distance approx. 100 km / 62 miles. Start your drive towards Sunne in Värmland. Just south of Mora, at the small island of Sollerön in Lake Siljan, you will find a “collectors' museum” with many historical objects from the area on display. After your break, continue through the Swedish forest and enjoy the relaxing scenery. Why not make a stop by one of the many lakes for a swim? Another interesting stop on the way is the local veteran car museum in Torsby. Spend the night in Sunne. Before leaving Sunne, a visit to Rottneros Park is a must. Here you will find several different gardens and sculptures. Even for non-garden devotees there is plenty to see, including a “motorbikes as art” exhibition. 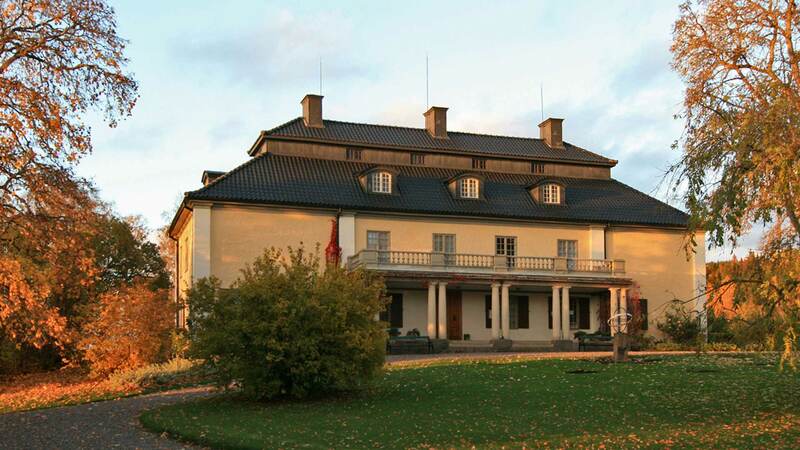 You can also visit Mårbacka, the home-turned-museum of the Nobel Prize winning author Selma Lagerlöf. The area you pass on your drive today is well known for its many artists. On your way towards Karlstad we recommend a coffee or lunch break at the beautiful Sillegården, which showcases local artworks. Another optional stop is the Klässbols Linen Mill, which produces and sells high quality linen goods that are popular with the Swedish Royal Family and Swedish embassies around the world. Heading east past Karlstad, don’t miss the 15-meter Picasso sculpture in Kristinehamn, donated to the city by the artist in 1964. On arrival to Örebro, we suggest exploring the open-air museum in Wadköping with its beautiful old buildings, craftspeople and shops. 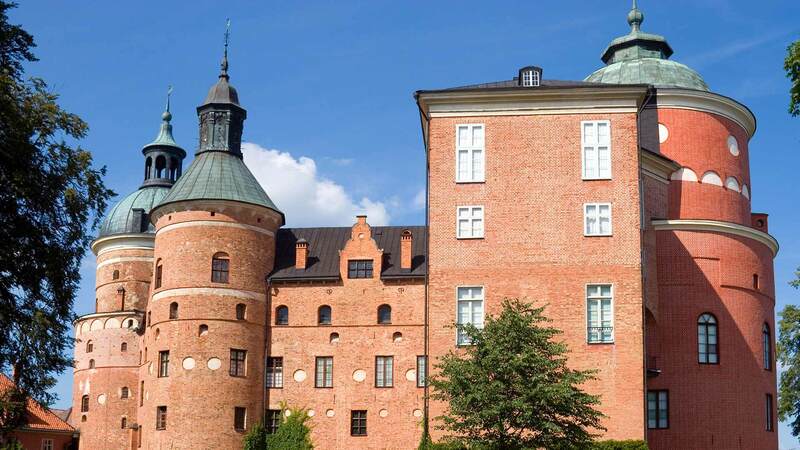 History buffs may also enjoy a guided tour of the 14th-century Örebro Castle. Upon return to Stockholm, drop off your rental car and check in to your centrally located hotel. Then enjoy the rest of the evening as you wish, perhaps with a taste of the capital's dazzling nightlife! Enjoy one last Scandinavian breakfast before checking out of your hotel. Transfer to Arlanda Airport is provided by private taxi. Our entire experience with Nordic Visitor was very positive. I liked the wide variety of tour experiences from which to choose. Therese, our tour representative, was responsive to my questions and I felt very supported should the need arise for assistance during our trip. All arrangements met or exceeded my hopes and expectations and I look forward to considering Nordic Visitor for future travel plans. I would recommend this service to anyone. They made our trip to Sweden effortless. We encountered passport problems at the start of our trip which resulted in a delay and Cecilia was able to rearrange everything for us. She went above and beyond in service to us. This is the only way to go and I would definitely use this service again! We enjoyed our experience with Nordic Visitor & have already recommended your services to our friends.